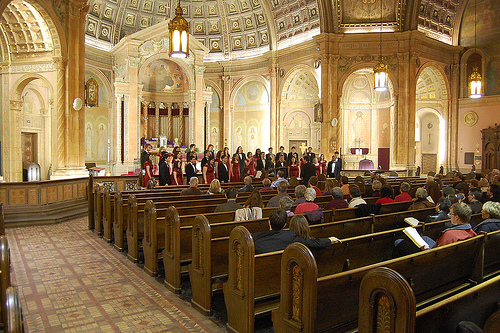 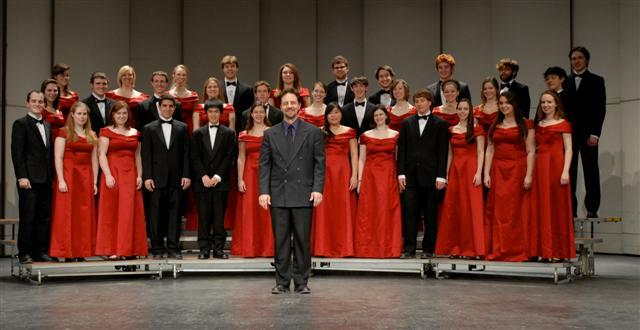 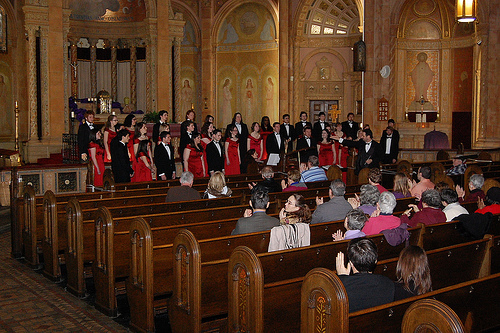 On Thursday, March 10, 2011, SUNY Geneseo’s Chamber Singers began their New York State tour with a concert at Blessed Trinity RC Church. 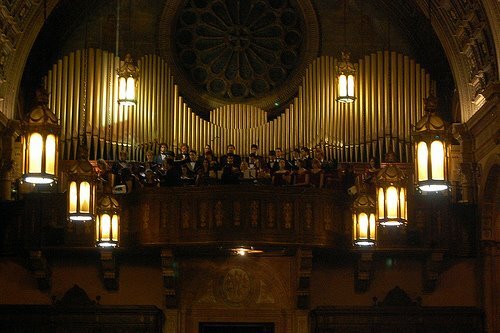 Funds from the free-will offering will be used to fund organ restoration, and Conductor Gerard Floriano and accompanist Linda Boianova chose to showcase the group’s versatility by opening with Benjamin Britten’s Jubilate Deo, sung from the loft with organ accompaniment. 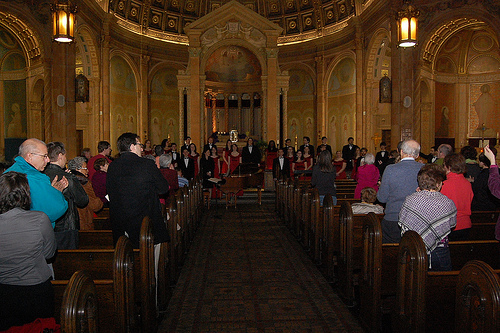 The choir performed the remainder of its program from the Sanctuary, with Dr. Boianova accompanying them on the piano. 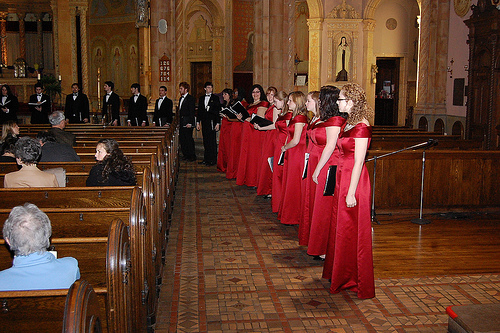 It included selections from the great choral tradition by composers Giovanni Gabrieli, Johannes Brahms and Felix Mendelssohn, as well as contemporary works by American composers Dominick Argento and Eric Whitacre and American spirituals arranged by Moses Hogan and Richard Jackson.